Senate Democrats, who believe they won't get any insight into what actually took place during the private meeting between President Donald Trump and Russian President Vladimir Putin from the administration itself, are now looking to the U.S. interpreter who was in the one-on-one encounter for more information. Sen. Jeanne Shaheen, who sits on the Senate Foreign Relations Committee, is leading the charge among her colleagues in the Senate to bring in Marina Gross, the American interpreter who sat in on the private meeting with Putin, to talk to the committee. “If the president won't share that information with us, then the interpreter is the only person we can look to,” the Democrat from New Hampshire told ABC News in an interview Wednesday. She said she has asked several State Department officials what, if anything, the two leaders agreed to on Syria, where Russia has allied with the Assad regime. She said they didn’t know, a troubling notion that she said underscored the need to talk to the interpreter not just for Congress’ edification but for that of the entire administration. 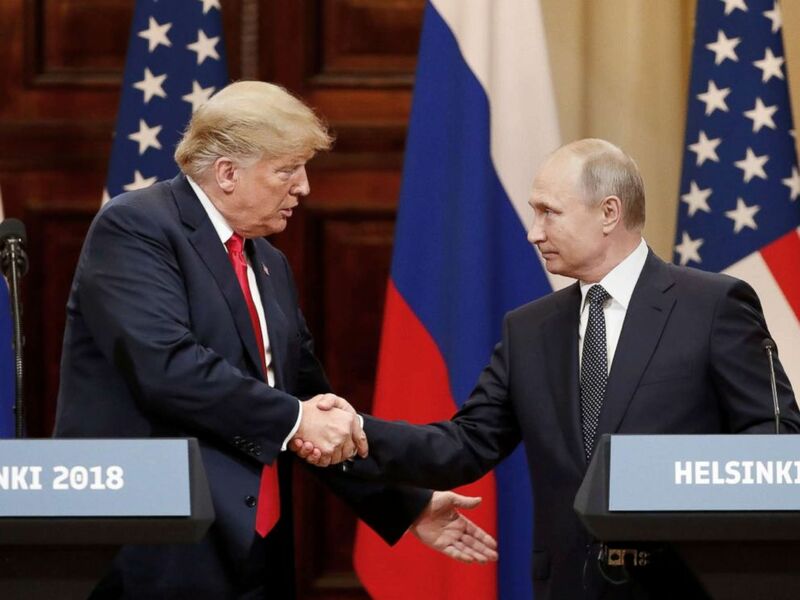 The Democrats' questions came as the Russian Ministry of Defense released a statement Tuesday referring to "agreements" reached at the summit, although it was unclear whether it was simply summing up what the leaders said they discussed. 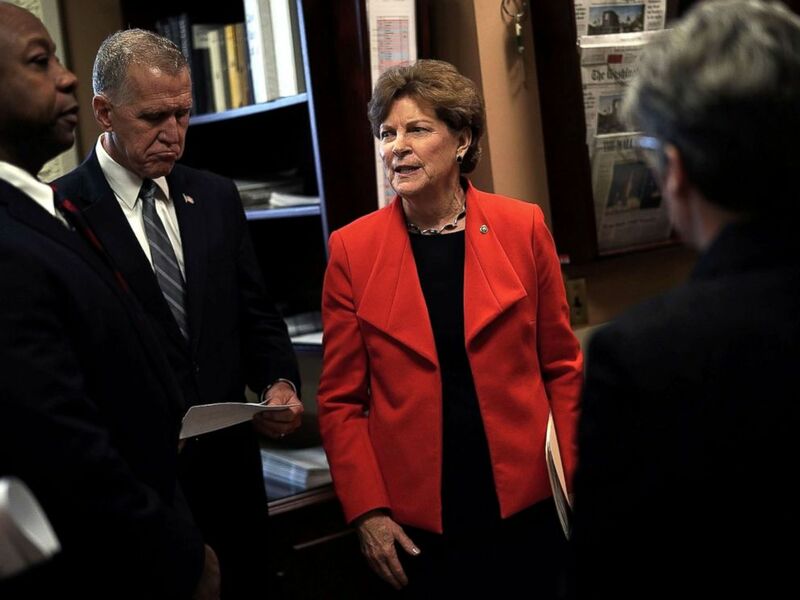 Shaheen added that she has not yet spoken to committee chairman Bob Corker about the possibility of issuing a subpoena, but said such an action, if necessary, would be consistent with the committee’s role providing oversight of the nation’s foreign policy. Corker said Wednesday he understands why Democrats would make such a request and is seemingly open to it. "All of us want to know what took place in that meeting," Corker told reporters. "That's been something that's been suggested, but again, is that really appropriate? We have to ask," Corker said. "One of the lowest levels that we've seen in our foreign policy is what we saw a couple of days ago in Helsinki, and I think all of us are incredibly still sort of wondering what thinking is taking place." But he cautioned: "I don't want us to lower ourselves ... if it's appropriate we'll pursue it, if it's something that truly should be executive privilege, we won't." On the notes specifically, Corker said: "These are notes taken by the translator at the meeting, I'm not sure it's even appropriate. We're checking that, if it is, certainly we're pursuing that." Sen. Jeanne Shaheen (D-NH) (R) talks to Sen. Thom Tillis (R-NC) (2nd L) and Sen. Tim Scott (R-SC) (L) prior to a news conference at the Capitol, Feb. 7, 2018. During a press briefing Wednesday afternoon, State Department spokesperson Heather Nauert couldn't say if the White House can claim the conversations and notes from the Helsinki summit fall under executive privilege. "That's the question I asked, is there any precedent for this?" Nauert told reporters Wednesday. "We've not been able to find that just yet. I can tell you there's no formal request to have the interpreter to appear before any congressional committees at this point, overall, as a general matter, you know we always seek to work with Congress." It's expected Secretary of State Mike Pompeo, who traveled with the president to Helsinki, will be pressed for his notes by Democrats when he appears before the Foreign Relations Committee in a public hearing next Wednesday. But Democrats may be in for an uphill battle on their quest for information from Gross herself. “I think the leaders on the Hill and their top staff people should know that trying to get the information out of the interpreter would be a wild goose chase," said Harry Obst, who was the Director of State’s Office of Language Services for 14 years and translated for presidents from Lyndon B. Johnson to Bill Clinton. State Department staff interpreters, like Gross, are civil servants who take an oath that they will not reveal any classified information, according to Obst. Additionally, interpreters for a U.S. president have top secret clearances, and so they are bound by law to not reveal top secret or classified information. According to Obst, the interpreter writes a memorandum of the conversation after every meeting, which is deemed as the property of the president, or whoever participated in the classified meeting. The memorandum could not be made public or shared with lawmakers without the permission of the owner, which in this case would be Trump. It goes through the same declassification process after 17 years, like other classified information. To Obst’s knowledge, no State Department interpreter has ever testified on the Hill on the content of meetings. And if an interpreter is to be subpoenaed, Obst said he believes the interpreter could and should, in his opinion, uphold their oath not to reveal information. And some Republicans aren't keen on the idea, either. "I think that would be a terrible precedent, to be pulling translators for meetings that presidents have," Sen. Ted Cruz told reporters. "I was not a fan of President Obama and his policies, and I certainly didn't call for translators who were in private meetings with President Obama to be pulled before Congress. I think there has to be some ability for the executive branch to operate." "What you're seeing is an awful lot of Democrats playing politics," Cruz said. ABC News' Sarah Kolinovsky and Ali Rogin contributed to this report.